As I always say, the best method of cooking in the summertime is grilling. In the summer, the produce is plentiful, the fish is fresh, and grilling is the best way to feature simple, delicious flavors in a beautiful way. I was on Martha's Vineyard for this meal, and we picked up some fresh whole trout, tomatoes, fennel, and spinach. All healthy, fresh ingredients that have bold flavors which don't need much else to shine. 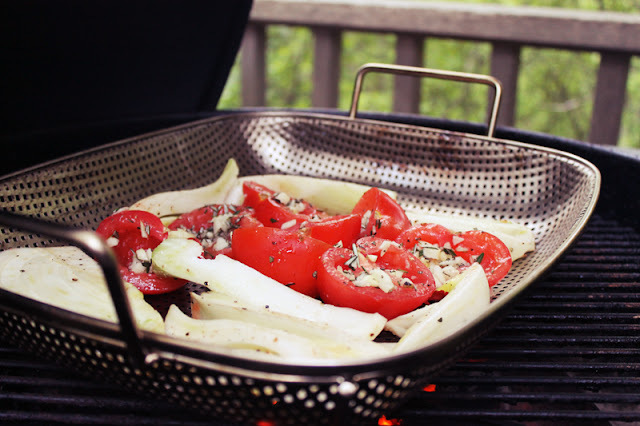 For the tomatoes and fennel, I tossed them with olive oil, salt, pepper, chopped garlic, and chopped rosemary, and grilled them in a grill basket until carmelized. I then chopped up the tomato and fennel and mixed it with chopped basil, chopped mozzarella, and orzo to make a fresh grilled vegetable orzo salad. 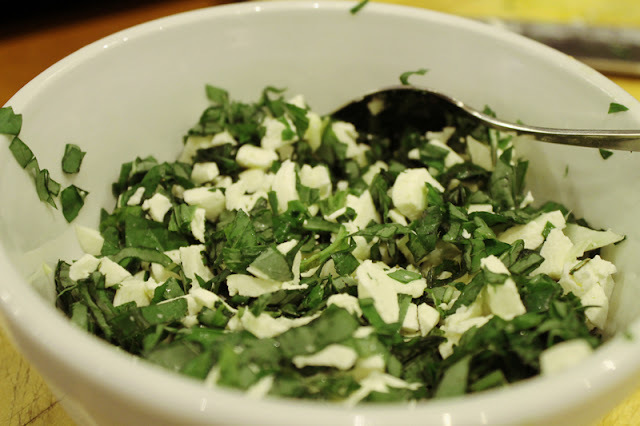 I then sauteed onion and spinach as a nice bright green to go with the dish. 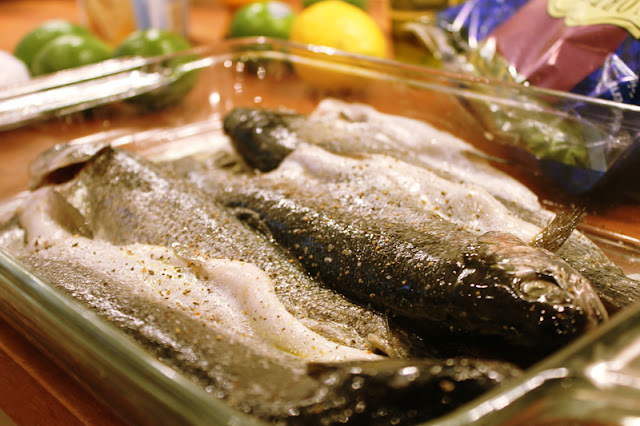 For the trout, I simply rubbed the fish with olive oil, salt, and pepper, and filled the fish with a sliced lemon and some rosemary and oregano sprigs before grilling them whole. The dinner was a very simple, fresh, and delicious meal that had bright flavors that tasted like the best parts of summer. Toss the tomatoes and fennel with olive oil, garlic, salt, pepper, and chopped rosemary and grill until brown. When done, let cool and chop. 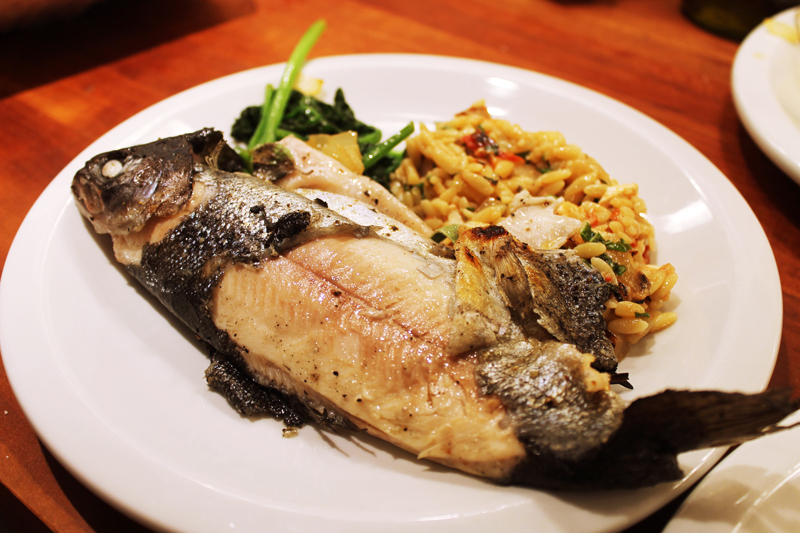 my mouth is watering to see these yummy recipies, grilled whole trout with orzo salad and spinach is just amazing, i tried it and enjoyed alot to eat it,thanks for posting.